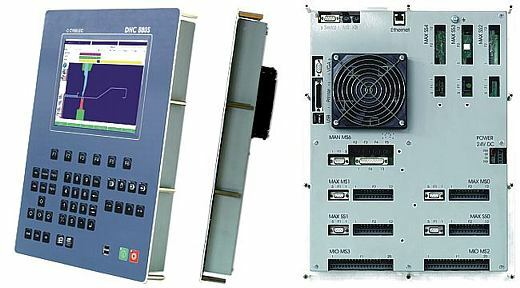 The Windows XP Embedded numerical control DNC 880S is specifically designed for sheet-metal working. Depending on the choice of software, it can control synchronized press brakes or mechanical / hydraulic stops, as well as upstroking or downstroking press brakes (see the list of available versions below). This compact numerical control unit is available in 2 versions: 4 or 7 axes either in panel or box design. Its 10-inch TFT colour screen, its simplified keyboard with large keys, and the 2D graphic software make the use of this control very efficient and comfortable. The basic functions are accessible by 6 subject-oriented keys giving access to clearly and logically designed menu pages. The bending solutions are displayed graphically in 2D and indicate possible collisions with the tools or the machine frame. The system also shows the position of the sheet within the tools. The software enables the machine manufacturers to configure the axes, inputs/outputs and auxiliary functions according to their needs. The DNC 880S manages the hydraulic or mechanical crowning system and pressure proportional valve, calculates the bend allowance, and proposes a simple page to program in seconds a part. The DNC 880S is also fully compatible with our DNC 80 and 880*, making it an ideal control for retrofitting old machines. * Except some special functions like bending aids. 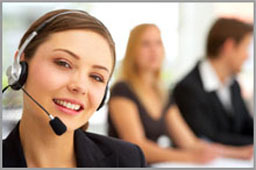 All DNC 880S PS, PC and P versions come with PC 1200 2D off line software. This program allows you to prepare your programs, calculate offers, check feasability of the parts in your office on a PC. No time waisted on the machine. For synchronized press brakes. 4 or 7 axes, 2 of them synchronized axes for the beam. Like DNC 880S PS, but for press-brakes with mechanical (or hydraulic) stops and beam control by means of a linear encoder. The beam management with the linear encoder eliminates the fastidious adjustment of switches and makes possible different openings (top dead center) for each sequence and automatic adjustement of PP (pinch point) for backgauge retraction. Like DNC 880S PC, but without beam control by means of a linear encoder.